Straits is another of Tonpetty's followers. He aided Jonathan in the fight against Dio and his minions. He, along with Dire, were named after the band Dire Straits. When Santana was discovered in the 1930s during Part 2, he betrayed Speedwagon and donned one of the newly discovered Stone Masks. 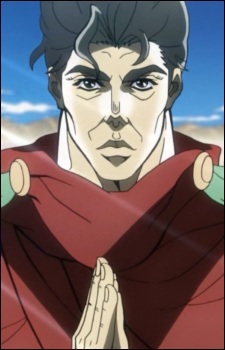 He explained that he had always envied Dio's strength and beauty and, as a result, desired to stop his aging process. He died after battling and losing to Joseph Joestar in New York City, overloading his own vampire body with Ripple energy. He is also the adoptive father of Lisa Lisa.